Citation (APA Style): Stewart, A., Boath, E., Carryer, A., Walton, I., & Hill, L. (2013). Can Emotional Freedom Techniques (EFT) be effective in the treatment of emotional conditions? Results of a service evaluation in Sandwell. Journal of Psychological Therapies in Primary Care, 2, 71-84. Objectives: A service evaluation was carried out to establish the feasibility and effectiveness of Emotional Freedom Techniques (EFT) in the NHS. Setting: A dedicated EFT service, within the NHS in the district of Sandwell, West Midlands. Referrals were accepted for any emotional condition (including physical pain), provided that clients were over 18 and not "vulnerable adults". Ethical approval was secured. Method: Over a 13 month period, clients accessing the EFT service for a range of emotional conditions were invited to participate. Those who gave consent were included in the service evaluation. At the start and end of their treatment, clients were asked to complete the CORE10 (main outcome variable), WEMWBS, Rosenberg Self Esteem and HADS measurement scales. Clients completing their therapy were invited for a 3-month follow-up. Results: Thirty-nine clients gave consent, and 31 completed therapy. A total of 77% werefemale, and 80% were White British. The mean age was 45 years (range 18-76),and mean number of sessions attended was 5 (median 4; range 2-17). The main presenting conditions were anxiety, depression and anger and clients revealed up to 4 additional issues. CORE10, Rosenberg Self-Esteem, HADS Anxiety and HADS Depression scores showed both statistically and clinically significant improvements, with statistically significant improvement for WEMWBS (all p<0.01). Mean CORE10 scores improved from 20.16 (moderate severe) at start to 8.71 (normal) at end (SD difference=6.81, p<0.001). Improvements were seen in all but one client. Conclusion: Despite the limited sample size and other limitations, significant improvements were shown. 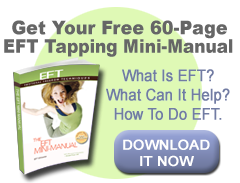 The results support the potential of EFT as a cost-effective treatment to reduce the burden of a range of physical and psychological disorders. Further larger studies are called for, with protocols to minimize drop-outs.